Emerald City Comic Con 2019 wrapped this past weekend, and DuckTales fans definitely had something to quack about this year. One of the convention exclusives that would be appealing to DuckTales and Disney Afternoon fans was a shared exclusive with Target. That item that I am talking about is none other than the Huey, Dewey, and Louie 3-pack from the Funko Disney Afternoon action figure line. We have not been shy about praising this line of action figures from our favorite Disney Afternoon shows. So far we have seen two waves of releases in this line that Has featured various characters from DuckTales, Darkwing Duck, TaleSpin, and Chip ‘n Dale Rescue Rangers. With so many great characters to choose from, this line could go on forever and we certainly hope that there will be many more releases. Huey, Dewey, and Louie were a no brainer. We have said it before and we will say it again, you really can’t go wrong if you are an inbox collector or out of the box because the packaging is rad. The box art has stayed consistent throughout all of the DuckTales action figure releases. The box art features Scrooge McDuck, Huey, Dewey, and Louie in a mine cart from the classic DuckTales episode “Earth Quack”. “Earth Quack” is the twenty-ninth episode from DuckTales season 1. The episode originally aired October 22, 1987, and it is based on the Carl Barks comic story Land Beneath the Ground! The Terra-firmians which made their DuckTales (2017) appearance in the episode Terror of the Terra-firmians. There is two different stickers on the packaging. The first sticker says Series 2. This is the first time that any of the Disney Afternoon figures have had a sticker noting a series number. The second sticker will vary depending on whether or not you got your figures from the convention or Target. Below is the shared convention exclusive sticker. I am an out of the box guy, so let’s rip this box open! Let’s start with any negatives. Here is where our story gets a bit sad. There seems to be a big difference in the figures details from the promo art to the actual product: the eye brows. The promo art featured nice subtle eye brows that match all three characters appearances perfectly from the show. The eye brows on the actual figures looks like someone got a little too happy with the paint brush and the brow lines stretch across most of their faces (See pics below). Is this a deal breaker, absolutely not. It is just a little distracting as Funko had been knocking it out of the park with show accurate Disney Afternoon figures in every detail. The nephew sculpts are also all three identical. Well they are identical triplets in the classic DuckTales show so not much to complain about, but in other Funko releases like the Mystery Minis and POP figures, the nephews all have different expressions or poses to make themselves more unique and add value. Not a huge negative, just an obvious observation. Good news, we are done with the negatives. The best news is that we actual got Huey, Dewey, and Louie represented in this series. Each of the figures have six points of articulation: head, arms, waist, and legs. The colors of their attire are accurate to what they wore in the show. This release of Huey, Dewey, and Louie joins Scrooge McDuck (Series 1) and Gizmoduck (Series 2). Both are also must haves. All of the figures look great standing next to each other. Launchpad McQuack from the Darkwing Duck Action figures (Series 2) could also be added to this lineup even though Launchpad had a slightly different look in Darkwing Duck than he had in DuckTales. Huey, Dewey, and Louie have been well represented in other Funko product lines. In addition to these new action figures, they have been POP figures and Mystery Minis (x2). Not a perfect release, but (1) Frees a spot in Disney Afternoon Series 3 for another character, (2) Great price point at $19.99 for three figures considering each Disney Afternoon action figure retails for $10.99-$12.99, (3) For a convention shared exclusive it was not hard availability wise to order online (also currently still available online here), (4) DuckTales Woo-oo! Your Disney Afternoon or DuckTales Action figure collection will not be complete without Huey, Dewey, and Louie. I hope additional DuckTales characters are released in future Funko Disney Afternoon action figure series because we need all the DuckTales characters, especially Magica DeSpell and Flintheart Glomgold. 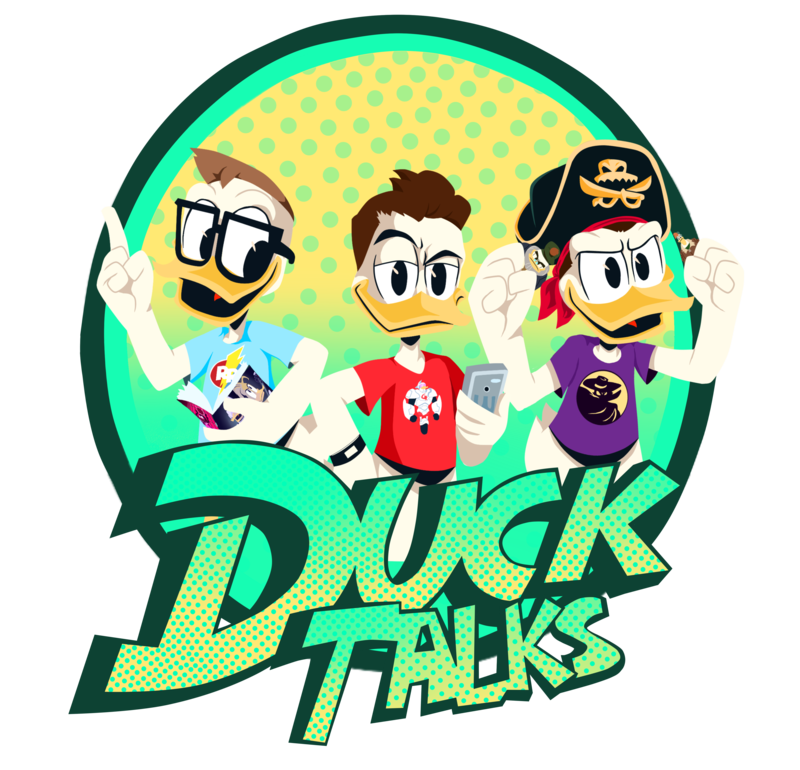 Previous DuckTalks Episode #063 – The One Where Della’s On The Moon! Next Webby’s Best Moments On Disney Channel’s YouTube! Ordered these off the Target website this morning. What the plastic Ducktales logo stand thing from in the picture with all the figures? Someone in a Facebook Funko Group made that for me. I couldn’t deal with the eyebrows…I used plastic polish to rub them off and painted on my own. Much better! My only other complaint is that the neck joints aren’t painted. This is actually the second time Funko messed up the production paint. If you look carefully, you can see the front of Launchpad’s cap isn’t painted. But you can’t beat the sculpts on these! I would love to see pics of your paint job. I’d love to share it! How can I get a pic to you? Email the pic to ducktalkspod@gmail.con or tweet pic to @DuckTalks . Thanks! Thanks for the article. Had no idea about the eyebrows, had only noticed the derpy eyes. Bought all the other figures in this line so far but these ones come across as lazy and unfinished and will be giving them a miss. I’m going to use the smaller previous funko ones with my scrooge as they have way more personality than these rather soul-less looking ones that really could have used some different expressions etc as mentioned on in the article. Shame, as I’ve wanted figures of these guys for like around thirty years.